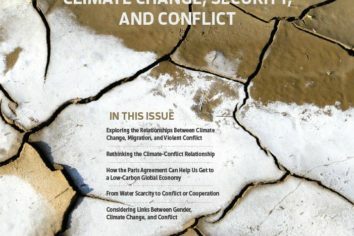 We hope the research discussed in this special issue informs a cascade of activism and policy-making to avert the worst eventualities of climate change and to create a world that is more secure and more just for all of us. 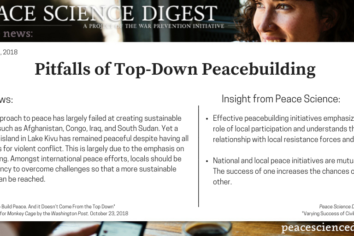 The top-down approach to peacebuilding has largely failed at creating sustainable peace in places such as Afghanistan, Congo, Iraq, and South Sudan. Yet, a small Congolese island in Lake Kivu has kept the peace despite holding known prerequisites for violent conflict. 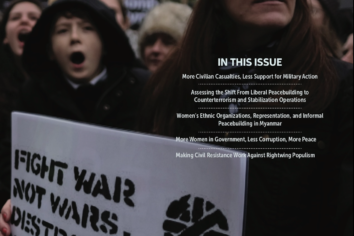 Their success is largely due to an emphasis on the local's role in conflict transformation. Women continue to be underrepresented in peacebuilding processes and negotiations. 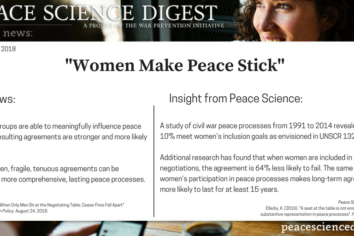 Peace Science shows how women's inclusion in peacebuilding is crucial to the success and longevity of peace agreements.